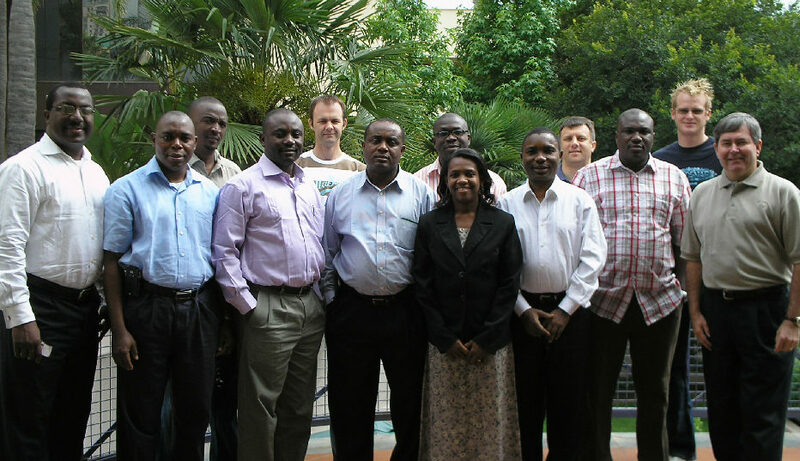 This was a great week delivering my 40th IT Manager Institute class in Johannesburg, South Africa. We had a small class this time, but I sort of like smaller classes because I get to know everyone so much better, , , I made an exception this time to make the long trip and deliver the program to a few who really wanted the training. What a great group this was, , , I’m sitting in the classroom with them right now as they take their ITBMC exam, , , hope they all pass. Large classes are also great. Every class is different and I have enjoyed being part of each and every one. This class was especially fun to work with. Tomorrow, I get to go on a mini-safari before catching a flight home. Hope to get some photos of wild animals such as rhino, giraffe, elephant, and lion and an assortment of smaller animals. Look for my post this weekend for the photos. I’ll be headed to the airport in a little while. First, a quick flight from Nashville to Atlanta, , , only about 45 minutes. This flight was upgraded to first class so it will be a nice start. Then tonight at 7:00pm I fly out of Atlanta on my way to Johannesburg, South Africa, , , a non-stop 15 1/2 hours of air travel. Amazing when you think of it, , , but a pain when you realize having to be in such a confined space for such a long time. It’s a good thing I can sleep anywhere, , , and I mean anywhere. Never had any real trouble getting to sleep on trips. When I get there at 5:00pm tomorrow night SA time, I’ll get to my hotel, have some dinner and get a full night’s sleep so I’ll essentially be on SA time come Monday morning. I look forward to this class like I do all my classes. I’ll have a former student sitting in and who will present a couple of the sessions as we prepare him to deliver the program in Africa going forward. Unfortunately, the Atlanta to Johannesburg flight is coach and a middle seat. That’s because it is often late before I can purchase a ticket if I don’t know whether the class will confirm or not. This class is small but just large enough to justify the trip, , , maybe I’ll be able to get my seat moved to an aisle or window. Cross your fingers on this one! The best long trips are when you have an open seat next to you and you are able to spread out. I tend to use these trips to work and can get quite a bit done. If I’m in a middle seat, I won’t get much work done. Hope you have a great weekend. Me, I’ll be on a plane or waiting to get on a plane all weekend. 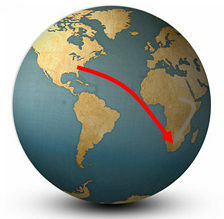 The next post you see will be coming from Johannesburg, South Africa. As I plan to leave for my 4th visit to South Africa in a couple of days, it brings back some positive memories of earlier trips. In this first class, Dan Tankersley went with me. Dan and I have been co-workers and good friends since 1994. His family and mine have become as close to family as you can get and we try to see one another every year. 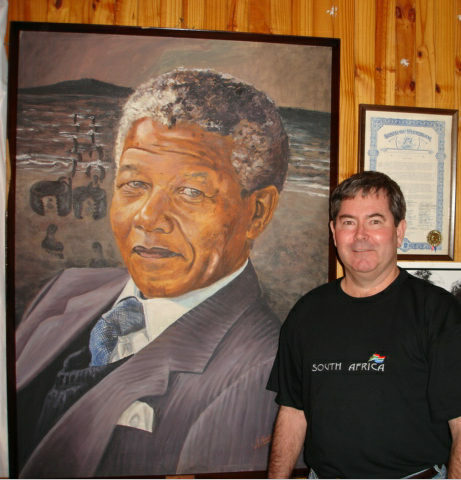 Dan’s contributions to the start-up of my company were very helpful so the South Africa trip was a small way for me to give back to him. Both of us enjoyed this class very much. I called this group the “fun class” because they bonded so quickly and had a good time together. Our excursion to Sun City was one I’ll never forget, , , we had a most interesting driver who we determined must have been paid by the hour. Our 2nd class in South Africa was my 20th overall and also a fun and interesting group. 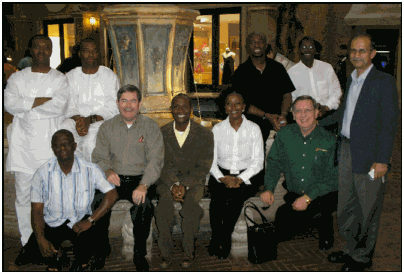 I would later reconnect with some of the Nigerians in this class during my first visit to Nigeria in 2009. It was in this class where I would meet Gynt Schoeman and his fiance, , , they would take me to a nice dinner a year later when I returned to South Africa. This class included Herbert Ruth, a senior IT manager in his own right. We have stayed in contact and on the trip coming up we will be working together to put plans in place to do more for South Africa and other African countries. One of my larger classes and one in which Dan Tankersley participated in again. He was a great help and it makes a long trip all the more fun when you have someone to talk to at dinner, , , or to visit one of the African tribal cultural centers like we did. Great class and my 26th Institute at the time. It has been three years since I was in South Africa and much has changed from what I hear. For one thing, the World Cup was just hosted there and many improvements have been made at the airport and in the infrastructure in and around Johannesburg, , , will be interesting to see. I look forward to this class as I always do. This class will be a smaller group which I like in many ways because I’ll get to know each of the students much better. 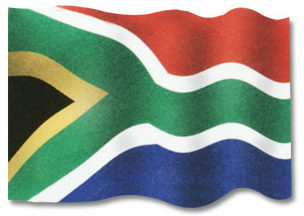 Look for my posts next week when I add to the ITLever Blog from South Africa. I spoke to a group of IT managers a while back and the theme was consistent, “We need to cut costs and do more with less.” My immediate thought on the matter was that “some things never change”. You might be surprised that many companies go through what I call a “tradition” every year, a “cycle of events” you might say. You can almost gauge the time of year based upon what comes down from the executive wing. In August or September we start developing our operational budget for the next year. In December (hopefully, but not always), we finalize the budget for the new upcoming year. In April of the new year, the first quarter results are released to senior management and Department managers. Budgeting is not an exact science; any CFO or CEO will tell you that. However, many managers (including IT managers) try to be so exact that they budget much too tight to have the possibility of achieving their financial forecast for the new year, , , they leave no wiggle room or buffer to deal with unexpected surprises that might occur. Another cause is that during the budgeting process, the departments are squeezed by upper management to reduce their budget expenses in order to achieve the forecast number the company wants to show for growth and profitability in the company. I won’t go into how to budget so you avoid the problem of budgeting too tightly (that’s another article), but the message here is that what often happens after the first or second quarter results come in is: senior managers wake up to find they are already “behind the 8-ball” in terms of meeting the company’s financial projection, , , they are at risk in achieving their budget. The budget was so aggressive (so tight), the company is already falling behind the financial performance it had forecast. NOT GOOD !! 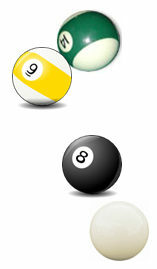 It’s an uphill climb to make the budget numbers for the year if they are already getting “behind the 8 ball”, , , so they have to do something tangible and do it quickly. The easiest decision and often the decision made is to estimate the budget deficit problem and then go require each department to cut a certain percent of its ongoing operational expenses to help the company achieve the number. Additional approaches might include simply cutting “discretionary spending” for the remainder of the year. This usually includes things like stopping or limiting new hires, training and education, travel, contract work, optional projects, etc. To employees of the company, this change of plans can be unsettling and appear to be caused by a lack of planning in the company. 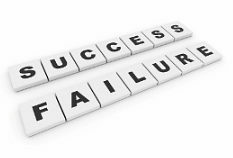 The actions result in issues that prevent their professional growth or impede their ability to be successful. It’s viewed as a “real bummer” and can adversely affect morale. Anyone who has been in a company where a unilateral directive comes down to cut 10% of your expense knows the feeling of “having to do more with less”. What I forgot to mention is that even though the expenses are slashed, many companies still expect to accomplish the initiatives planned for in the original budget, , , truly a “get more done with less” scenario. 1. Place budget buffers in your plan. It will help you make your financial commitment every year. Surprises always occur in every operational year, and it gives you room to find cost savings in your department without having to cut muscle when the “cut costs” call comes down, , , and it will. 2. Be proactive in implementing a cost saving strategy in your company. Companies always need to find cost savings. As an IT manager or CIO, you are in one of the best seats in the house to create change that can improve profitability and productivity. 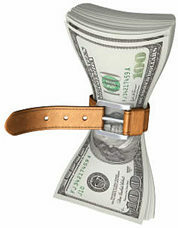 IT is literally a lever that can affect significant financial improvements within the company. 3. Begin now in creating a management track record of prioritizing initiatives that improves profitability. 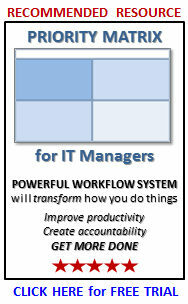 As an IT manager, your actions create one of two images of you for senior management of your company. The first view is of a manager who understands business needs and proactively seeks ways to do things that provides tangible business value results. To the CEO and CFO, tangible value is almost always translated into some sort of financial impact. Or, you are viewed as a manager who probably performs well and who is sharp technically but who doesn’t necessarily understand what it takes to run the company profitably. The right business decision often does not coincide with the right technical solution. Let’s put it this way, the primary responsibility of senior management is to create and maintain a viable business. In most companies, that means they have to be profitable. There are many parts of the company competing for a limited company asset called cash. Your company executives have to make tough decisions when the numbers aren’t being met. More often than not, the decisions end up impacting IT negatively because IT is viewed as a cost center and not an organization that can create financial leverage for the company. 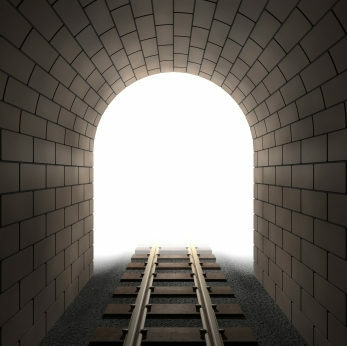 However, there is light at the end of the tunnel, and it’s not a train coming down the track. CIO’s and IT managers who establish track records of prioritizing IT initiatives that improves profitability have a very good opportunity of being hit less or even passed over when budget reduction requirements are passed out. When you gain the trust of the CFO and CEO to make prudent decisions that are consistently cost justified and add value to your company, they view you as a business partner. Believe me when I say that they need internal partners who can help them achieve the company’s objectives, , , they need their IT department to be a true business partner. Establishing a track record where you become known as a manager who understands the business comes first and helps target prudent technology initiatives that provide business value is extremely important. Those who establish these track records tend to get more leeway when cost cutting measures are handed out. Put yourself in your senior management team’s shoes. Wouldn’t you be more lenient with someone who has consistently helped the company reduce costs or deliver some type of business value over time as opposed to the manager who always needs more money for technology projects that aren’t fully understood or appear to have little to no value? I’m sure you would, and so would I. 1. Why did I write it? 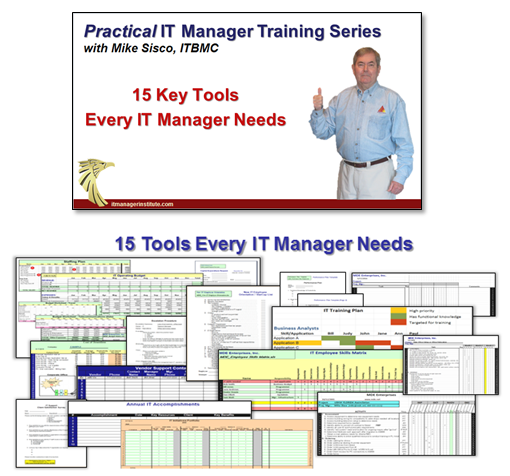 I developed the material for my IT Manager Institute class because I wanted to include a session that would provide insight and tools to help each participant recoup more than the cost of the entire program (registration fee, travel, lodging, and other expenses) within a short time of returning to their company. Initially, I was going to discuss my “Top 20” list of cost saving opportunities. After spending time on the idea, reviewing my “archives”, etc., I had over 50 cost saving strategies that I have used to save companies hundreds of thousands of dollars. Granted, I didn’t create all of these strategies myself, but I’ve used them successfully to save money, some of them for many companies. 2. Why is the book priced so high? Simple answer. I’m very confident in these 50 strategies because I’ve used them and I completely guarantee you will identify more than enough cost savings from the material to save your company thousands of dollars, no matter what level of IT management responsibility you have. The book is intended to be a “thought catalyst” to help you start thinking aout possible cost saving opportunities in your company. The material can also be beneficial in developing your thinking about how to find cost savings, how to estimate the savings and how to go get the savings. Not every strategy will apply to every company but every company will find multiple opportunities from the list of fifty strategies in the book. All companies have cost saving opportunities. Some of the opportunities lie in “low hanging fruit” situations that are easy and inexpensive to get to. Other opportunities require investment and time but can reward you handsomely when the project is completed. I have used several of these strategies in past CIO roles to save hundreds of thousands, even millions of dollars in companies. Yes, that’s right – millions of dollars in company expense reductions potentially lie in a few of these strategies for you just as they gave me the opportunity in past companies. Remember, we are going after company expenses, not simply our IT expenses. There is much more opportunity throughout your company than in your IT budget. That’s why savvy executives will spend more in IT because they know there is more opportunity in other parts of the company than say a 10% reduction in the IT department, , , but they only recognize it if the IT department has displayed a sense of working on things that make a positive impact for the company. Want to see your CEO or CFO’s eyes “light up”? Make a recommendation that costs very little but has tens of thousands of dollars in cost savings potential, or a technology initiative with a reasonable payback period that can improve EBITDA (earnings before interest, taxes, depreciation, and amortization) by half a percent or more and you will see what I mean. IT managers and CIO’s who know where to look for cost savings, understand how to quantify the opportunity and how to go after it have a big edge on other IT managers who know how to spend the money but don’t appreciate the need to always be looking for cost savings in their company. The need for reducing company costs never goes away, so I encourage you to take advantage of the need all companies have in this area. You may find as I have that your management team will ask you to actually spend more in IT if it allows the company to go faster because they value the leverage impact IT can have on the company’s financial performance. Take advantage of the leverage your IT organization offers your company and “heads will turn”. When you start thinking about your next great project, put your business hat on and think about it from a business vantage point, not from your technology perspective. There are three key factors you must understand PLUS you must understand another part that is the most important part of all. Read on. 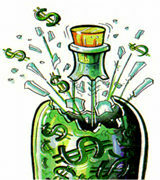 Cost – Certainly, a key ingredient is going to be the cost of doing something. So, develop a good idea as to what the cost will be and be sure to include the full cost implication of your new venture, including start-up and all project costs as well as ongoing costs once the project is completed. Effort – What will it take in effort to get the new technology up and running? Time, resources, and the types of skills required all have important implications in delivering a new technology initiative. Risk – There is both risk in delivering something new, , , but there may also be risk in not delivering it or in delivering it later than is needed. Risk has a cost so be sure you understand the risk implications of your initiative. All of these things are key in evaluating any new IT initiative, but they are still not the key issue you need to look at, because none of these elements will actually help you get the project approved. Each of these attributes (Cost, Effort, and Risk) deal with “WHAT”, , , the key piece is “WHY”. 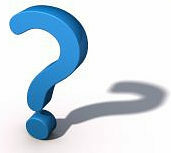 The element of an IT initiative that gets your recommendation funded is the “WHY” factor. “Why do we need to do this?” is far more important than understanding what it takes to get it done, , , although you will need this information as well. If you can’t explain “Why”, then just forget about getting approval. Ask yourself the question, “If I don’t understand why something needs to be done, would I spend money and effort to do it?”. Probably not, , , hopefully not, , , you certainly should not!!! This is exactly how your senior manager thinks about any recommendation you make, , , if he can’t understand “why”, it is very difficult to decide to spend money and put forth effort on something. The “Why” factor is all about cost justification and the benefits that will be derived by doing something, , , and these benefits should be a business benefit, not necessarily an IT organization benefit. Cost justification – something tangible has to be presented that makes the project worth the cost and effort. Benefits – A business benefit must be articulated. Remember, it is all about the business, , , not about the technology. You focus your discussion on the technology and the business manager who must decide to spend the money or not will simply not hear you. Learn to focus your recommendations on “WHY” and you will see that it has much more impact in getting your recommendations approved. Develop a solid track record of delivering cost justified initiatives that have business value benefits and you will be golden. It will turn the “No” and “Maybe” decisions into “Yes” votes of confidence. 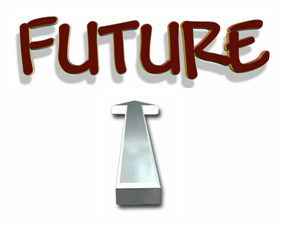 I saw an article on TechRepublic today about “future trends in IT to watch” by Jason Hiner. His information is usually pretty good and is worth noting as he has actual operational management experience as well as being an editor in the publishing business. The borderless network – The completely isolated and protected network is no longer a reality in today’s business environment. The cloudy data center – Many companies of the future won’t have a data center, , , it will be in the clouds somewhere. The state of outsourcing – Many IT employees may work in your building or work virtually on your technology, but they will be paid and managed by an outside company. The mobilization paradigm – Smartphones and iPads are just the tip of the iceberg of what’s coming. These are all issues that face our IT organizations and some of the things we need to think about, , , the reality is that most companies will deal with one or more of these issues in the next two years. 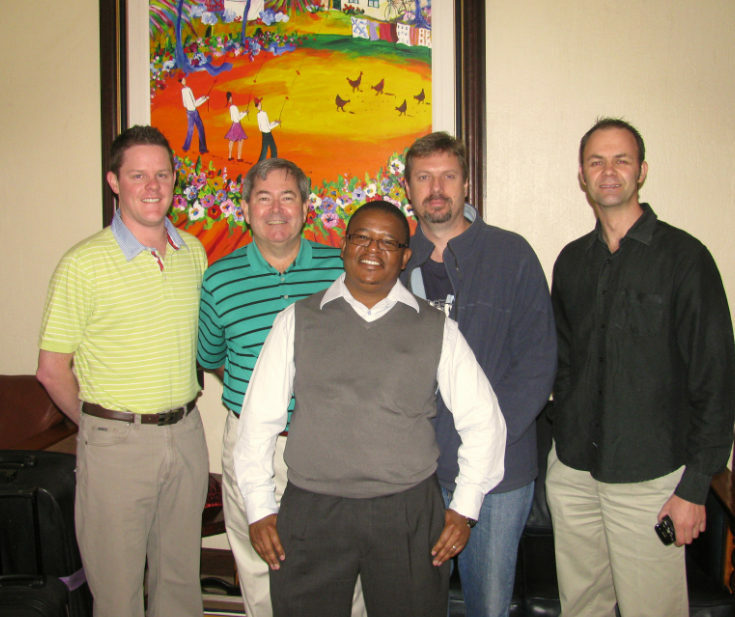 I’ve been to South Africa on three occasions to deliver the IT Manager Institute and headed there again this coming Saturday to teach my 4th SA Institute next week – July 26-30, 2010. Yesterday was a big day for South Africa following a month of excitement in hosting the World Cup soccer matches. 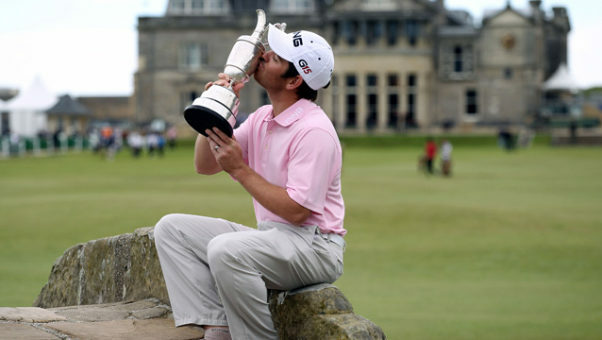 The second big event yesterday was when Louis Oosthuizen won The Open Championship of golf, , , some still call it the British Open. This one was held at St. Andrews, the home of golf and where they have played for some 600 years, , , several hundred years before the US became a nation. Watching this tournament is one of the favorite things to do with my family; we enjoy links golf a lot. Some day, I hope to visit St. Andrews and play a round where so many legends of golf have played. It was his first major championship win and he played impeccably the last two days as he held the lead. No one really ever challenged him and his game was in excellent form. This is a big deal for the game of golf in South Africa. 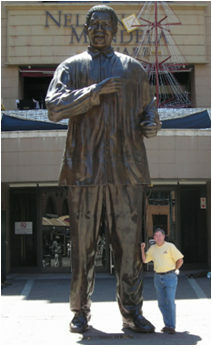 I’m looking forward to my return visit to South Africa next week although the long plane ride is not all that much fun. We expect to have a great class and I’m excited about a new working relationship we are developing with Herbert Ruth, a South African professional who attended the Institute program in 2006. Got my extra Rand (SA currency), electrical adapters and passport, , , looking forward to teaching our 40th IT Manager Institute next week. Hard to believe we have taught so many classes in such a short time. It has been great!! 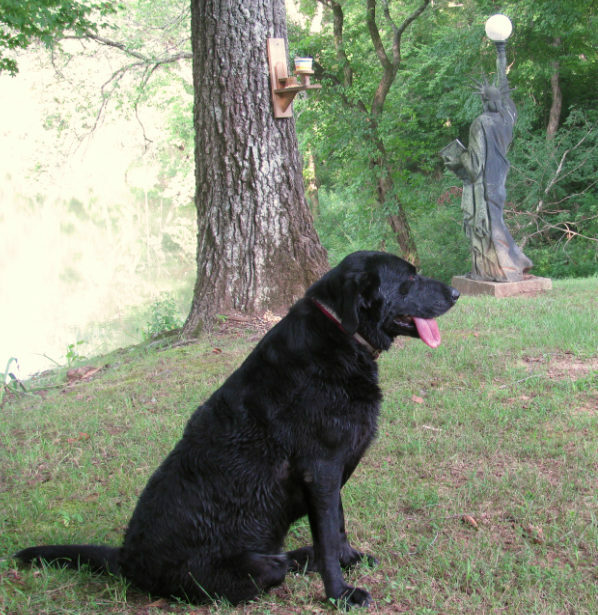 Our neighbors up the river from our Camp Liberty have a black labrador retriever named “River”, , , pretty appropriats as she stays in the Buffalo River quite a bit. To see her swimming alongside a canoe or just crossing the river is neat. She is as comfortable in the water as on land. 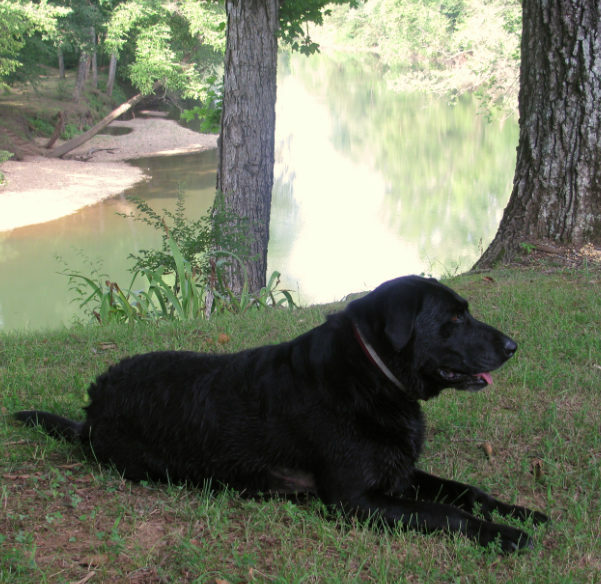 Yesterday, she played in the river with some people swimming and they were lobbing rocks to her. She went under the water to retrieve each rock and take it promptly to the bank. I thought our last flood created the rocky beach across from us (in the left background above), , , but from what I observed yesterday I’m not so sure, , , it may heve been built by River, , , one rock at a time. She will play and retrieve things as long as you are willing to play. 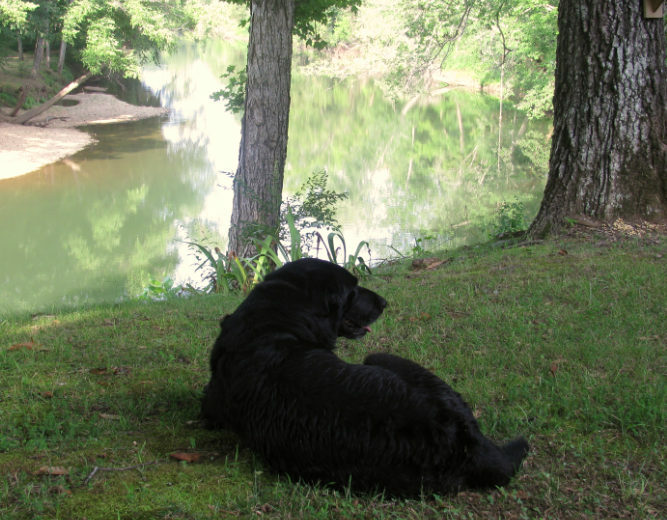 River watches the Buffalo River after her play time. 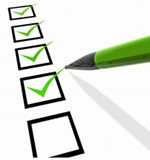 Having trouble getting IT initiatives approved? I was talking with a company CFO about his IT challenges and one of the points he made rang so familiar. It’s something I’ve seen throughout my career. His comment was, “I’m actually eager to spend money in IT, but it is frustrating when our IT Director asks for approval to hire a new employee or to buy new technology but doesn’t provide any justification for doing it.”. This is something that occurs all too often. Interestingly, all of these comments are related and arise from the same issue. IT managers who come from heavy technical backgrounds aren’t always taught the need to justify new technology expenses. A key initiative may appear to be totally obvious to them that the company needs to do something, but I can tell you that it is definitely not obvious to most CFO and CEO’s. I know that every initiative needs to be cost justified so they are. My initiatives are always closely tied to the company’s needs and provide quantifiable business value. Number 2 is not something I say lightly. I make it a point to develop strategies and budgets that support the business needs and objectives of the company. I also communicate these plans to senior management of the company and gain their endorsement by validating that “these are the things we should be doing”. More importantly, I show the business value that the projects will deliver. 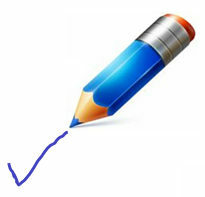 Cost justified initiatives that have understandable business value usually get the approval nod. Senior managers have one goal that’s well above any other and that is to achieve the financial commitments made to their Board of Directors and stockholders. Unexpected spending runs contrary to this primary mission. Most of us have a certain amount of distaste for surprises and senior executives are no different. It’s a lot easier to add new staff when your operating budget anticipated the possibility of such a need and is included in the budget numbers. I never recommend hiring a new employee unless there is ample justification. In fact, I’ve been known to be more reluctant to hire a new employee than some of the senior managers. The key message here is that when you ask for something that’s not budgeted and planned for (and this will be rare in my case), my senior management team knows that I’ve thought through the issue and have plenty of justification (cost, benefit, etc.) that warrants the additional expenditure. In addition, they know that if it’s above the budgeted operations plan, I’ve determined how to make up for this extra expense so I still make the plan. Managers who don’t anticipate the “Tell me why” comment from their CFO or CEO will have difficulty in getting what they want. I’ve joined companies where the outgoing CIO told me that he could not get anything done for lack of money. All I can say is that I never found it to be difficult at all to get those same senior managers to fund reasonable initiatives that helped the business. The scenario I usually find is that there is plenty of money to spend on the right things. The problem is that the former technology managers were spending too much for things that were not critical to the business or that did not add real value. They were buying technology, , , not approaching technology as a business manager would and buying only what’s needed to help the company be successful. If your senior management team isn’t willing to fund your requests, , , stop for a moment, step back and take a hard introspective look at the situation and ask yourself, “Why is this the case?”. Be objective and remove any self imposed desire or emotion from your thoughts. Put yourself into the position of the business owner as if the money were to come right out of your own pocket. Would you still be doing all the things you are spending money on or would you revise your initiatives and do something different, , , especially, if payment came out of your own pocket? I’ve performed due diligence on IT organizations of companies we were about to acquire and I’ve conducted IT assessments for many companies in a consulting role. It’s amazing how many times you hear comments like “reluctance to spend on IT”, “can’t get funding for our IT projects”, etc. When I hear these things, I take a very close look to determine if the IT organization is really in sync with the business “owners” (senior management team). In most cases, they are not. It’s not that IT managers do not want to do the right thing for the company. It has more to do with background and experience. For example, if a young CIO comes from a predominately network and infrastructure background he tends to focus in improving the network and infrastructure. All the while, the real problems may be with the business applications or Help Desk. We tend to focus on what we know. 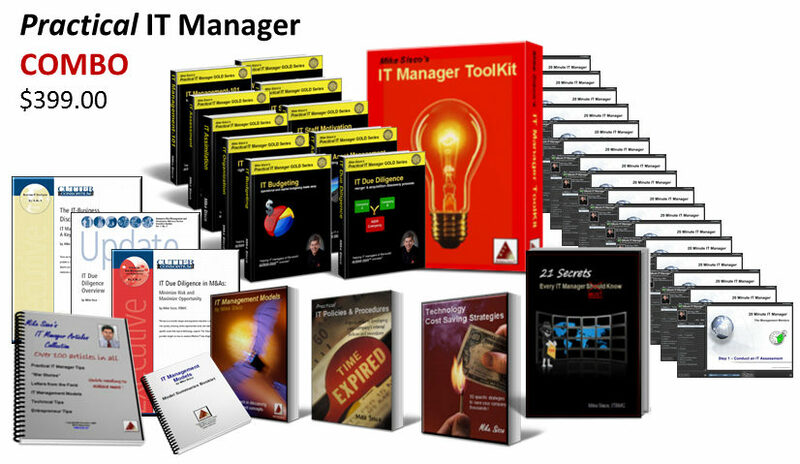 Unfortunately, most of the people that are promoted to IT manager haven’t really been exposed to techniques of how to manage a business effectively. They are predominately technicians by trade, not business managers. When you become a manager, it’s more about the business than about the technology. Technology is the means of making great strides and improvement, but without a real business need the best technology solution can be a waste of money. What is the cost justification? What will not making this investment do to us? Do we have to make the investment now or can we wait? Is it budgeted? If not, why not? If you have solid justification that meets the needs of the business, you will probably find yourself getting more of what you ask for. Create a track record of making wise investments in the initiatives you recommend and getting tangible results from them and you will find the scrutiny and analysis of your recommendations become less and less. It’s a matter of trust and knowing that you only do things that truly benefit your company. It’s all about earning trust and respect by producing positive results.